No dull fashion moments for the Stylish daughter and advisor of the POTUS, Ivanka Trump. 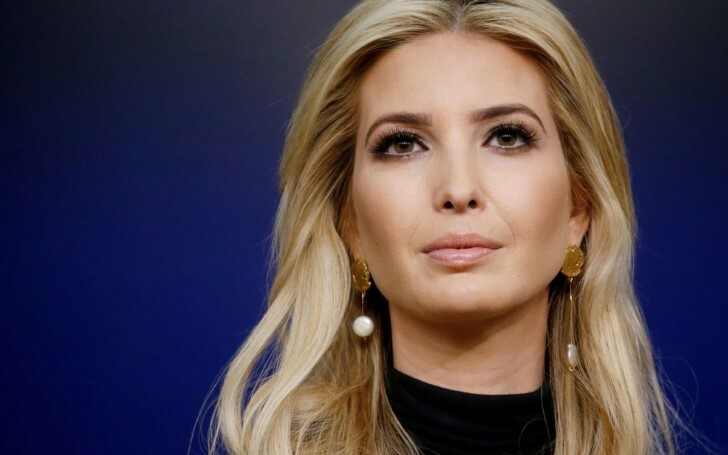 The multi-talented daughter of current POTUS Donald Trump, Ivanka Trump who's a businesswoman, model, TV personality, author and also a socialite is usually and highly active with keeping her fashion life always on point. And her fashion choices never disappoint either. Through our research and reviews, we have collected some of the highest stylish fashion moments of Ivanka Trump. Have a look. 10. Ivanka Trump at Ralph Lauren autumn-winter fashion show. Ivanka has always been serving looks. Look at this 'old is gold' picture of Ivanka on April 1995 along with her mom. The pink skirt has given her a barbie look. This picture is from the year 1996 that was taken at Ivanka's father Donald Trump's 50th Birthday Party. Ivanka can be seen wearing a black lace and net through skirt followed by the matching black net choker. A true 90's fashion style. The heiress wearing a red floral print and voluminous skirt paired with a black coat and a black heel has stolen our heart that we had to mention it under our top 10 list. 7. Ivanka at Fortune's Powerful Women Summit. Here, you can see Ivanka wearing a red sheath dress with grommets and a thigh-high slit. Ivanka even managed to flaunt her long gorgeous leg. As a matter of fact, we have come to the realization that Red is definitely Ivanka's color. 6. Ivanka Trump in Carolina Herrera at the Inaugural Ball. The daughter of the President of the United States' princess moment comes under one of our favorite lists. We are not sure what has sparkled our eyes, whether it's Ivanka or her embellished with crystals gown. Ivanka attended the Valentino event wearing a long black sleeveless gown. The elegant dress didn't only make her look classy but powerful too. Look how cute and beautiful Ivanka looks in the white full sleeve top and lilac knee length skirt. Next time you have an event to attend, do consider thinking of this one Ivanka's attire. At the Glamour Women Of The Year Awards 2015, Ivanka wore a bright pink Giambattista Valli gown with ruffled sleeves. The former model was reportedly pregnant at the time back then. Ivanka wore an all-white Oscar de la Renta dress on 5th April 2017 at the Rose Garden White House that ensemble worth around $5,000. The cost of the lace skirt costs $2,890 while her top's price is $2,070. Have you guys seen Ivanka at the 2005 Tony Awards wearing Prabal Gurung's patterned light pink gown? It is definitely our favorite one so far, although we could hardly decide the best ones.